Dubai: ABRA Visual Merchandising & Store Design launches the 20,000 sq. ft. Animation division on Thursday, 3rd of November at its purpose build facility in Dubai Investment Park -2, Dubai, UAE. This expansion was conceptualized in August of 2015, as a necessary step in segmenting the two main categories in the company. One which is more quality conscious (Permanent builds) and the other more cost conscious (Temporary installations). 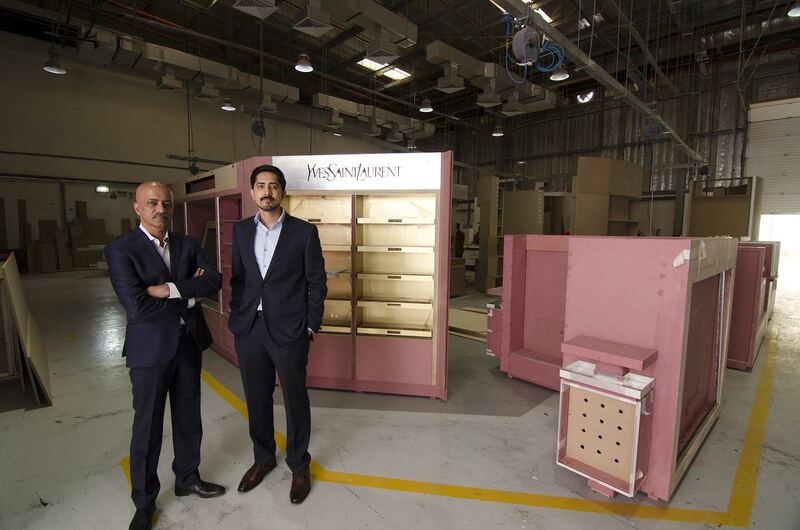 The new division will specialize in conceptualizing, designing and building animation projects for brands across cosmetics, fragrances, electronics, confectionery and spirits categories to be installed in malls and duty free shops across GCC and Africa. This division will increase ABRA’s market share and raise the level of brand animations in the market through better quality and cost effective design. A dedicated animation division also will improve turnaround time and set a new benchmark for timely delivery. The Animation division is spread over 20,000 sq.ft. Making it one of the biggest spaces dedicated to brand animations and cost effective brand fixtures. The space is planned to be able to install large promotional builds of up to 18m x 12m and further mass production of units that requires large assembly facilities for batch production. It will house a dedicated team of 50, which includes retail designers, project managers, technicians and production management staff ensuring the highest quality of production in Visual Merchandising & Store Design catering to the luxury market, high end retailers, boutiques and duty free shops. The facility will officially be open on Thursday 3rd of November at 9:30am with a ribbon cutting ceremony; with Mr. K. Govindan – Managing Director of ABRA VM SD, Anand Kumar – Executive Director, ABRA VM SD and Chief Guest Ali Dawood – Executive Director of Operations, Dubai Industrial Park along with a few words from the respected guests and a full fledge tour of the new facility. Established in 1992, ABRA is a market leader in luxury VM & SD in the MEA region with strong emphasis on quality of retail fixtures production combined with design and project management expertise. ABRA’s strength lies in its in-house production know how and capacity with over 200+ skilled multi-task workforce and state of the art machinery, it is capable of converting client requirement from concept to production and installation within limited time frame. ABRA Visual Merchandising and Store Design has grown from catering to the advertising industry to an industry leader in luxury shop fitting and POSM – design and production. ABRA is social audit compliant and ISO qualified, its one of the few SME’s in the region with all round industry specific qualifications to work with multinationals demanding a higher standard of working conditions. ABRA specializes its services in travel retail, i.e., duty free shops across the region even though ABRA’s Headquarter is in Dubai; it caters to the whole MEA region; with having extensive experience in handling delivery & installations.